I’ve been waiting a long time to see her take-on a pure dramatic role. A quiet scene in 2011’s “Bridesmaids” showed us this other side of McCarthy (and may have just been the reason she got that Oscar nomination). A few emotional moments in 2014’s “St. Vincent” provided a hint of her dramatic abilities as well. Now, thanks to a film adaptation of a unique true story, McCarthy is able to drill dramatically deeper into a role than ever before. It just takes her a little while to get there. In “Can You Ever Forgive Me?” McCarthy plays struggling author Lee Israel. It’s 1991 NYC. The 51-year-old Israel, who once had a New York Times best-seller, desperately needs a hit. She’s out of work, can’t pay her rent or her sick cat’s vet bills. She’s working on a biography of Vaudeville performer Fanny Brice. Her agent (Jane Curtin) tells Israel that no one wants that book. In Curtin’s showcase scene, the agent runs down all of Israel’s flaws to her face: she’s not a people person (her cat is her only friend), she’s not a nice person and she refuses to write in her own voice. All three of those characteristics are altered (some quicker than others) when Israel discovers an interesting way to use her skills as a writer to make money. But her desperation, both financial and professional, leads her to do things she may eventually regret – or not. The first hour of “Can You Ever Forgive Me?” is not unlike a McCarthy comedy. The quick-witted, foul-mouthed Israel racks-up a bundle of snappy, sarcastic one-liners. Her partner in crime (more literally than you might think) is the flamboyant Jack Hock (played by Richard E. Grant), a street-wise con-man who has his own issues. McCarthy’s real-life husband, Ben Falcone, who often plays minor characters in her films, gets 4th billing in a small, supporting role as one of several bookshop owners that Israel interacts with. 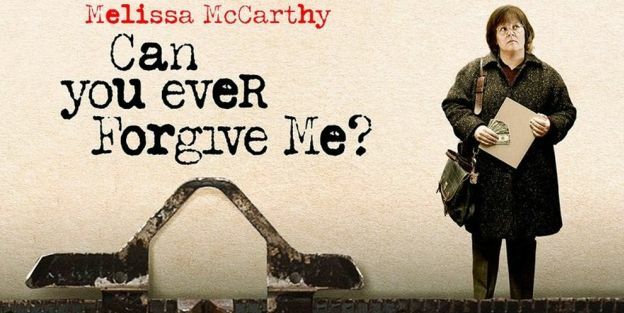 “Can You Ever Forgive Me?” is based on Israel’s 2008 memoir of the same name. 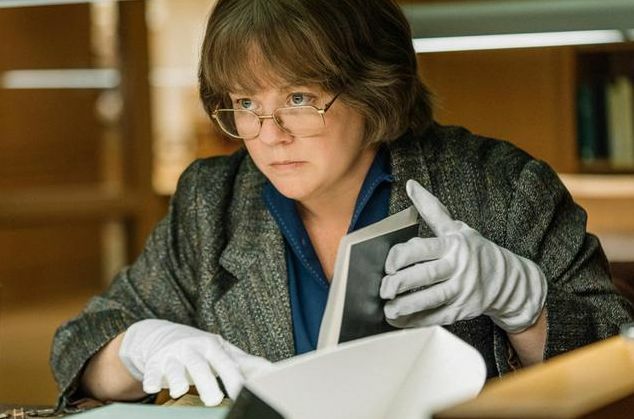 The story is fascinating, though screenwriters Nicole Holofcener (“Enough Said”) and Jeff Whitty and director Marielle Heller (“The Diary of a Teenage Girl”) crafted it in a by-the-book fashion. A couple of the quieter moments in the first half are standouts, highlighted by a restaurant scene involving Israel and a female bookshop owner/admirer. But throughout the first hour or so I kept waiting for the movie to turn the page and deliver what was promised. Finally, in the film’s final half-hour, McCarthy is allowed to take her performance to the next level. 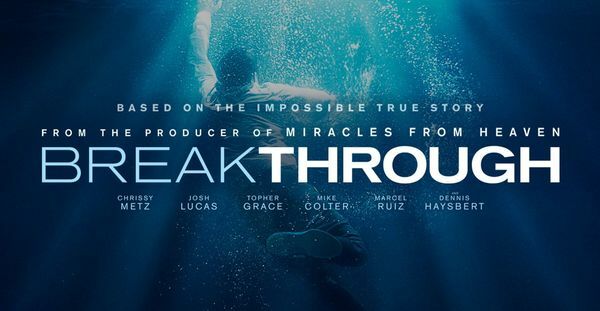 Not surprisingly, her work elevates the movie as well. She captivates in nearly a half dozen challenging, complex scenes – back-to-back. This allows us to truly understand and empathize with the multi-faceted Israel. This final act provides Fox Searchlight the ammunition to push McCarthy for Best Actress nominations this awards season. There’s no need to apologize for seeing “Can You Ever Forgive Me?” It may not be as profound as it could have been, but it does tell a nifty little true story, while giving McCarthy the platform for the richest performance of her career.